Whether you have an elementary school, high school, community college or university campus, a clean and healthy learning environment is an essential component for success in the classroom – and studies have shown that effective classroom cleaning can have a positive impact on student attendance and overall performance. According to the CDC, nearly 22 million school days are lost each year to the common cold – and 38 million school days are lost each year to influenza. And it’s not just students who are out sick – while students average 4.5 absences per school year, teachers average 5.3 days! An effective cleaning program is a great investment for each school, college or university campus – and while a clean campus can help pay for itself via short term savings in reduced absenteeism, a clean and healthy learning environment can also reap long term benefits for the entire community. Whether the task is spot cleaning and disinfecting touch points, or emptying waste and recycling receptacles, having the right procedures in place can be the difference between a clean and orderly classroom environment and a dirty one – and dirty classrooms lead to sick students and teachers, and poor student performance. Over the course of the school year, some cleaning functions within the classroom need to be addressed in a more restorative cleaning process. Whether the task is cleaning air vents, deep cleaning carpet floors, or stripping and refinishing hard floors, having the right procedures in place make all of the difference in keeping classrooms clean and functioning at a high level. Washing hands is one of the most important steps one can take to help prevent illnesses. Having the right combination and placement of hand soap and hand sanitizer dispensers, along with the education on hand hygiene benefits and creation of an environment which promotes good hand hygiene, is a key component for success in delivering a clean and healthy classroom. WAXIE has the industry-specific knowledge of how to most effectively and efficiently clean classrooms – and this knowledge has been gained through working with schools and universities throughout the Western United States since 1945. WAXIE training curricula has been developed to be delivered at the school site, at one of the WAXIE Training Rooms, or online via the WAXIE Online Training Modules. 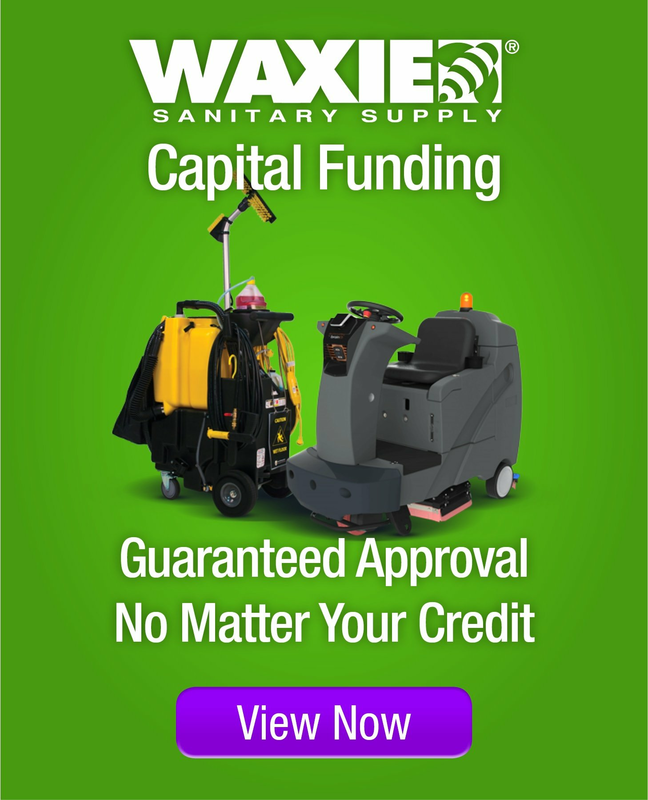 Please contact your WAXIE Account Consultant to learn more about our Classroom Cleaning Solutions.